Woburn international | We are Licensed Immigration Advisers, licensed by the NZ Government to provide guidance and assistance to any person wishing to migrate to this country. take care of the challenges so you can focus on your goals. all sectors. Let Woburn International pave the way. Is your Student, Visitor or Work Visa about to expire? 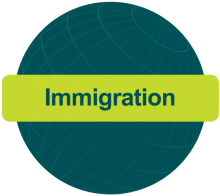 Providing immigration for both organisations and individuals. As experts in immigration, Woburn International has been helping people emigrate to New Zealand for over 25 years. We also assist those already in our beautiful country, on a temporary visa that is about to expire. New Zealand immigration law requires you to have a job or business investment. The rules change frequently and you must get this right. NZ law requires you to have a job/offer or a business investment to work full-time in NZ. Our immigration services can help you find the right option. Ensuring you have a quick, easy, pleasant, and successful move. Having helped more than 10,000 individuals and families to move home successfully we will get you settled in your new home quickly and easily. Given time and language differences please email us in the first instance. We can provide native speaking consultants in a variety of languages who are available by email 24 hours a day or over the phone, during New Zealand business hours. As leading experts we’re often in the New Zealand media. Check out our latest story in our news section. 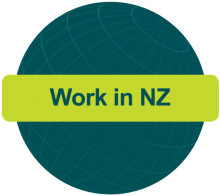 Find out if you are eligible to live and work in NZ by completing our quick online assessment form.